Many times I’m asked what inspires me to write particular stories. It isn’t an easy question to answer. Inspiration can hit at the craziest times and for the oddest reasons. In one of my Facebook posts I talked about fog on the canal (I live on the Jersey shore right on a canal) inspiring a scene in a future Highlander book. 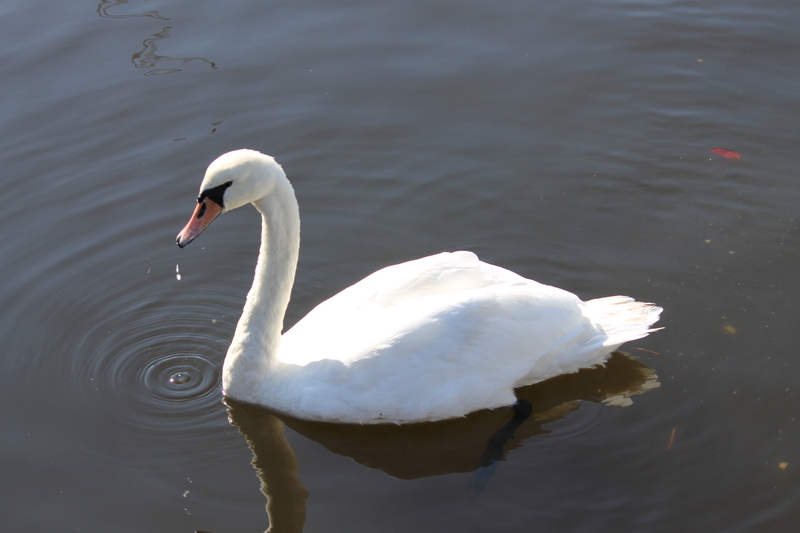 The pic of this swan actually inspired a character, a Highlander warrior as odd as that may seem. The swan comes to visit for food since I always have something for him. He’s always alone and I’ve wondered what happened to his mate since all the other swans have mates. Naturally, my mind conjured up all sorts of scenarios. Had he a mate and lost her? Mind you, I don’t know the swan’s gender but for my imagining, the swan is male. Is he doomed to wander alone without someone to love? Or does he search for her? This lone swan got my mind churning and I discovered a Highlander warrior that I couldn’t wait to write about. He has loved only once and swears he will never love again or will he? He will be one of the heroes in my Macinnes Sisters trilogy.